NYC Midnight Beauty Makeup Collection! This post should have posted a few weeks ago, but apparently it never did! Ugh, I hate when that happens... 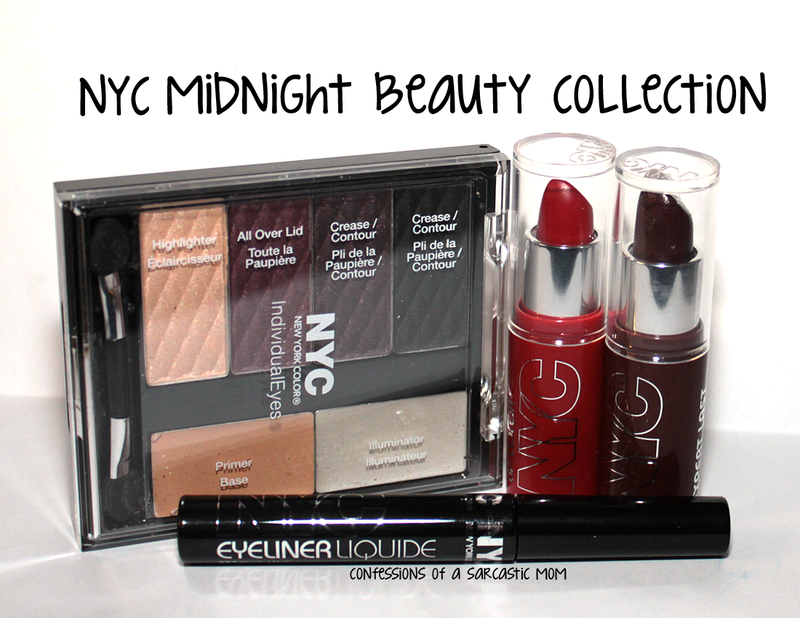 I'm sure this NYC collection, Midnight Beauty, is still lingering around in various places, but it is limited - so if you see it and want it, grab it! I have one of the eye shadow palettes, two of the lipsticks and a liquid eyeliner to show you. 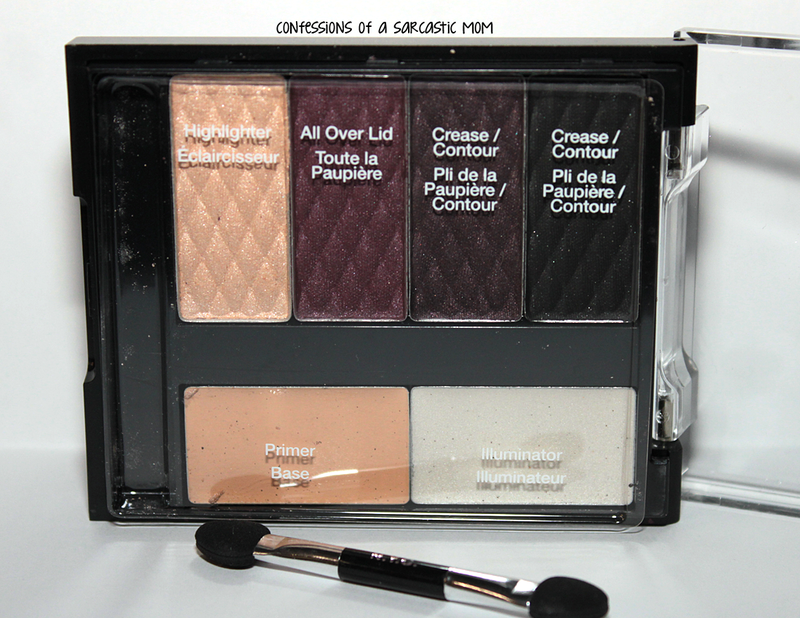 This is the Vampiress palette (there is another palette in the collection), and the colors exude a smokey eye feel. 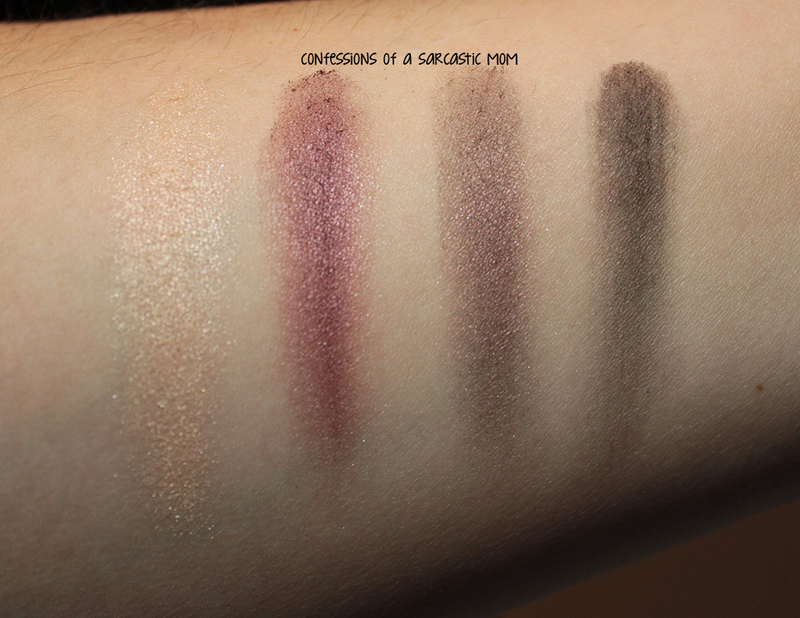 They are decently pigmented, as you can see from my arm swatches. That's one swipe with my finger from palette to arm. I've had some not-so-pigmented palettes from NYC, but this isn't one of them. 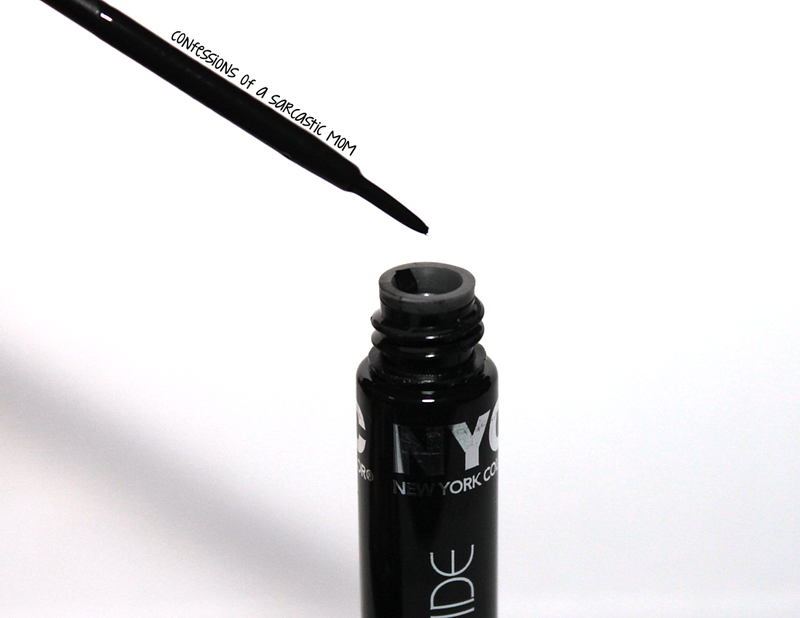 The liquid eyeliner has a very precise brush! 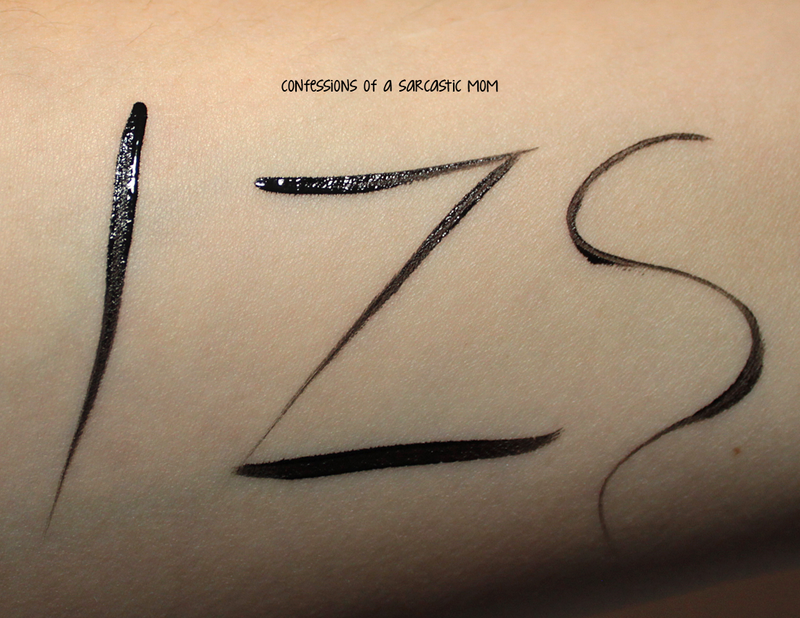 As you can see on my arm, I was able to draw not only the standard straight line, but a Z and a squiggle. I felt like I had nice control over the brush and my strokes, as well. I don't typically feel comfortable using liquid eyeliner for that very reason. 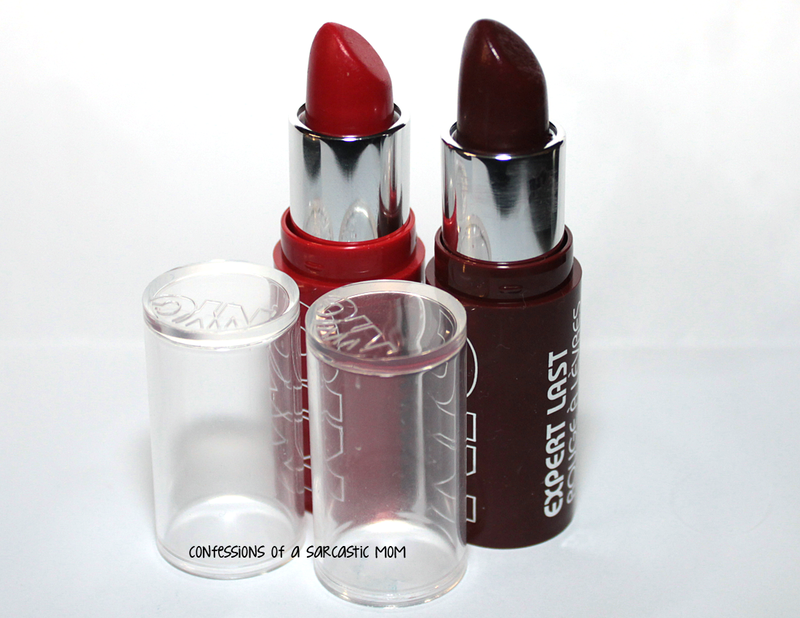 I've got two of the lippies to show you, and I believe there are three in this collection. While the colors are gorgeous, I had some trouble with them after they were applied. They went on creamy and spread easily, but they spread beyond my lips quickly. You will definitely need lipliner with these! I wore them without. I cannot attest to wear time, as I did not wear them anywhere significant, just around my house. You can see how messy I was with Immortal Vixen, she was a little feisty to get even coverage. It's such a dark color. I'm sorry! You can get these, in their own display wherever NYC is sold - I usually find mine at KMart and Rite Aid. These are in a special display, apart from the "core" display.